NATIONAL HARBOR, Md. — The Air Force is turning to the private sector for fresh sources of intelligence about orbital activities. Space operators also are looking at technologies like artificial intelligence to analyze data so they can anticipate potential hazards, predict space weather and satellite anomalies. In both commercial and military space operations, everyone wants “predictive” intelligence to be able to make timely decisions to prevent collisions or respond to threatening behavior, said Melanie Stricklan, chief technology officer and co-founder of Slingshot Aerospace, in Manhattan Beach, California. The Air Force is trying to pivot from the traditional “space situational awareness,” or SSA, that focuses on tracking and identifying objects to “intelligence-driven” space operations, Stricklan told SpaceNews. 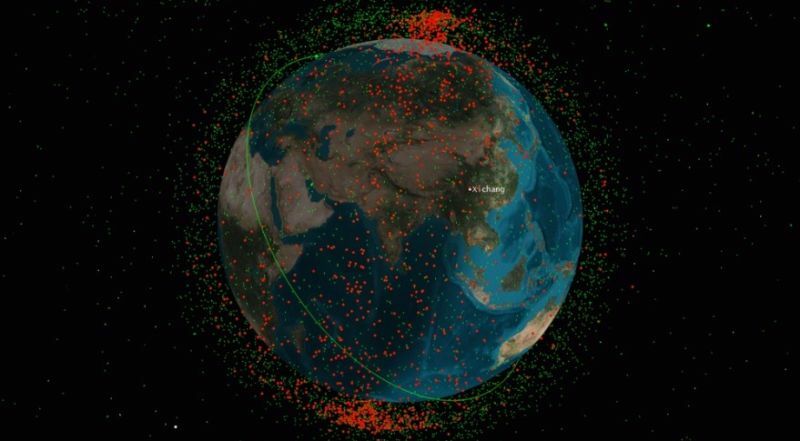 Traditional tracking of space objects is not enough to combat increasingly complex threats in space, she said. The Air Force is trying to move beyond catalog maintenance and is searching for new tools to probe what is happening in outer space. The NSDC is in the market for “SSA data for all altitudes, all longitudes, all latitudes 24/7,” according to Brost’s slide presentation. The Air Force has not yet issued an official solicitation for industry bids and has not specified an “acquisition strategy” for how commercial services would be procured. Brost’s briefing said a request for proposals could come in early 2019. “We see a big need for SSA solutions, not just in the military but also in academia and in satellite owners and operators,” said Stricklan. Slingshot this month launched its first artificial intelligence-enabled SSA product, called “orbital atlas,” targeted at commercial satellite operators and academia. A more advanced version is being developed for military space battle management. Military efforts to improve the quality of space intelligence are taking place as the Trump administration moves to reassign the government’s SSA responsibilities. The job of alerting commercial operators and foreign countries of potential collisions or hostile activities will shift from the Air Force Space Command to the Commerce Department. The changeover has drawn praise as long overdue. The military wants to turn more attention to space war fighting and not have to spend resources supporting civilian space traffic management. Meanwhile, commercial satellite operators have grown frustrated by the military’s reluctance to share space data and would like to see a civilian agency step up support for private sector space activity. The military maintains a catalog of about 20,000 space objects larger than 10 cm in Earth orbit and makes that data publicly available. Although that is a valuable service, the military’s “operational procedures do not always prioritize commercial satellite operations, and the services provided are limited in their transparency, timeliness, and machine-to-machine interactivity” with operators’ data about the location of space objects, noted Adam Archuleta, satellite navigation systems engineer, at Maxar Technologies’ DigitalGlobe. By recent estimates, he noted, there are 29,000 objects in space that are larger than 10 cm, 750,000 from 1 to 10 cm, and more than 166 million from 1 mm to 1 cm. DigitalGlobe, like other satellite operators, are adding commercial data sources to their internal collision avoidance systems to supplemental military data. Archuleta said the company is now working with LeoLabs, whose cloud-based software turns radar data into information about where debris is located on orbit. The commercial sector’s SSA problems are somewhat similar to the military’s challenges in space battle management. Companies need better data to safely manage their fleets and cope with space congestion, said Walter Scott, executive vice president and chief technology officer of DigitalGlobe. Having commercial data sources like LeoLabs makes it easier to anticipate where other satellites or objects might be, Scott said. Along with the access to more data should be the development of a set of rules. This is an issue that affects everyone, said Scott, including the commercial industry, governments and militaries around the world.